The most elaborate lighting decoration we have ever had. Stretches over 3 metres long. Everyone will love these Ramadan lights. Perfect for Eid or Ramadan parties, can be used for years to come. 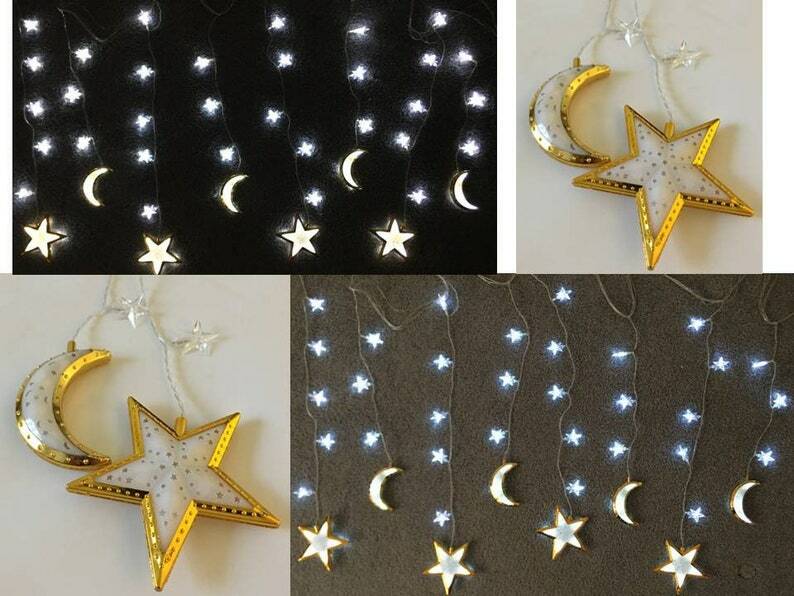 Felt Crescent Star Hangings for the Eid, Ramadan or Hajj. Decorate home, mosque or office for Ramadan or Eid. Felt Mosque Hanging. 9" X 9" visible from both sides. Comes in a variety of colors. Decorate home, mosque or office for Ramadan or Eid.